Selena Gomez never lost her style groove, and the proof is in her jacket. For WE Day California, a special event to celebrate leadership and change, the star chose to wear a bright blue jacket on stage. 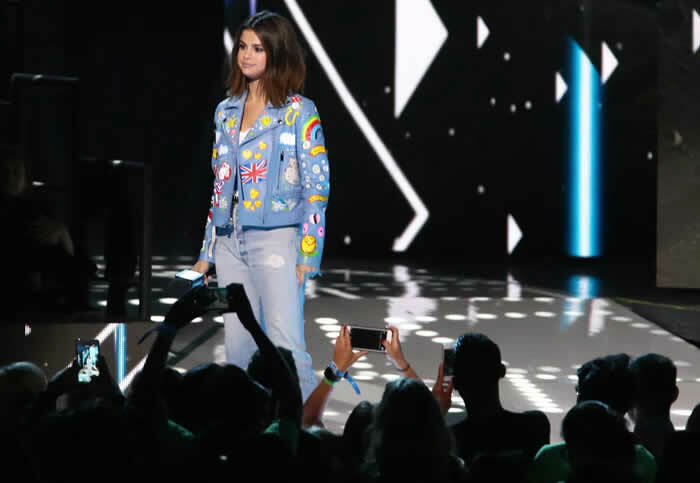 Selena rocked the Jenny Packham moto piece, which featured trippy designs like rainbows, yellow hearts, and the British flag. The colorful graphics popped out right away and made us smile. 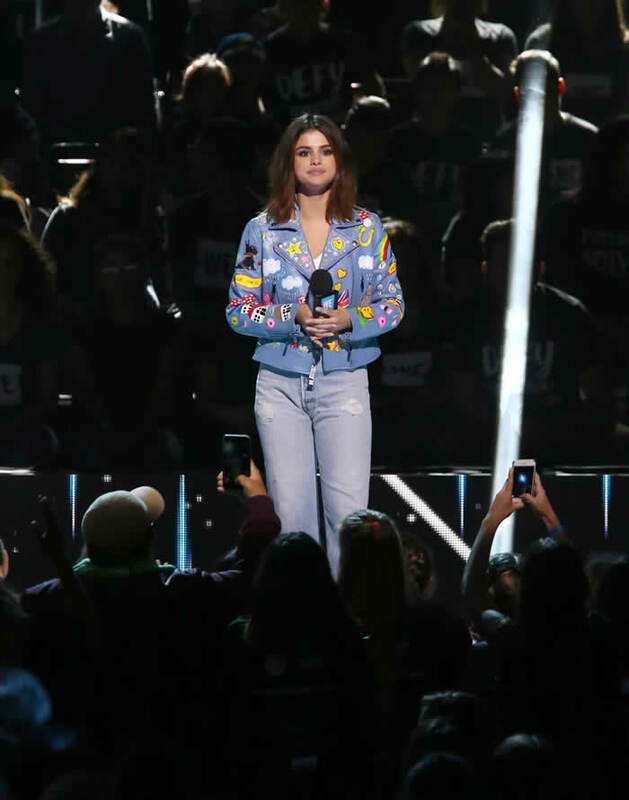 It wasn't a piece we usually see the star wearing, but the funky prints spoke to Selena's playful spirit, and she looked quite confident during her speech. Underneath the jacket, the star showed off her WE Day pride with a logo tee tucked into her jeans. For those of us not at the event, we're already thinking of how to DIY her look. If that's not your style, however, we found similar patch moto jackets like Selena's to shop ahead.